Samaria is a mountainous region in the northern part of the geographical area to the west of the Jordan River, roughly corresponding to the northern part of the West Bank. The name derives from the ancient city Samaria, the capital of the Kingdom of Israel. During the 1967 Six-Day War, the entire West Bank was captured by Israel. Jordan ceded its claim to the area to the Palestine Liberation Organization (PLO) in November 1988. In 1994, control of Areas 'A' and 'B' were transferred to the Palestinian Authority. The name Samaria is of biblical origin, derived from the individual or clan Shemer, from whom Omri purchased the site. (1 Kings 16:24). It was the only name used for this area from ancient times until the Jordanian conquest of 1948, at which point the Jordanians coined the term West Bank. To the north, Samaria is bounded by the Jezreel Valley; to the east by the Jordan Rift Valley; to the west by the Carmel Ridge (in the north) and the Sharon plain (in the west); to the south by the Jerusalem mountains. In Biblical times, Samaria "reached from the Mediterranean sea to the Jordan Valley", including the Carmel Ridge and Plain of Sharon. The Samarian hills are not very high, seldom reaching the height of over 800 metres. Samaria's climate is more hospitable than the climate further south. The Samaritans are an ethnoreligious group named after and inhabiting Samaria after the beginning of the Assyrian Exile of the Israelites. Religiously the Samaritans are adherents of Samaritanism, an Abrahamic religion closely related to Judaism. Based on the Samaritan Torah, Samaritans claim their worship is the true religion of the ancient Israelites prior to the Babylonian Exile, preserved by those who remained in the Land of Israel, as opposed to Judaism, which they assert is a related but altered and amended religion brought back by those returning from exile. It is commonly, though inaccurately, accepted that Samaritans are mainstream Jews. Their temple was built at Mount Gerizim in the middle of fifth century BC and was destroyed by the Macabbean (Hasmonean) John Hyrcanus late in 110 BC, although their descendants still worship among its ruins. 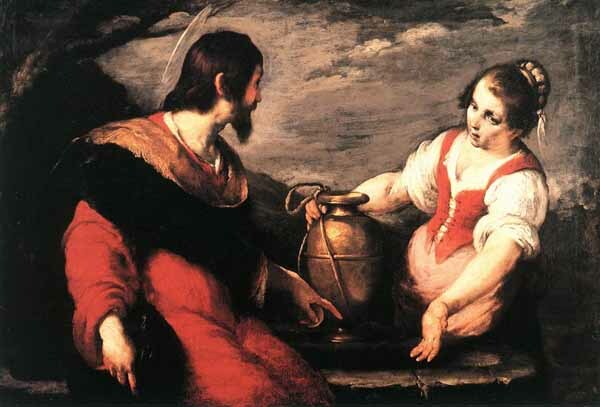 The antagonism between Samaritans and Jews is important in understanding the Christian Bible's stories of "Parable of the Good Samaritan" and the "Samaritan woman at the well". -3C Samaria is rebuilt and fortified by the Ptolemies as a Hellenistic city after the conquests of Alexander the Great; Greek mercenaries are settled in the city, which becomes increasingly Hellenistic in culture; Samaritans migrate and settle at nearby Shechem and Mt. Gerizim AJ ?? -108 John Hyrcanus, Hasmonaean king, destroys Samaria and sells its inhabitants into slavery AJ ?? 67 Samaria is destroyed by the Romans during the Jewish Wars WJ ?? 1100 to 1187 Samaria briefly revives under the Crusaders, who build a large cathedral and smaller chapel dedicated to the relics of John the Baptist, who was traditionally (and mistakenly) thought to have been beheaded there. The city Samaria was established as the capital of the Kingdom of Israel during the reign of Omri circa 884 BC. Prior to the Omride period the site appears to have been the center of an extensive wine and oil production area, which may have accounted for its choice as the new capital. Apparently the origin of the name of the site was from Shemer the eponymous owner of the land that Omri purchased for two talents of silver (1 Kings 16:23-24). The city is built on the summit of a rocky hill. The earliest remains consist of extensive rock cut installations, initially thought to date to the Early Bronze Age by Kenyon, these have recently been re-evaluated, first by Stager and then by Franklin, and are now recognized to be the remains of an extensive early Iron Age oil and wine industry (designated Building Period 0). In 1908-1910, Harvard�s Committee on Exploration in the Orient conducted an expedition to excavate the site of Samaria-Sebaste. Remains of the royal palace built by Omri and Ahab during the Israelite period were discovered along with buildings constructed by the Babylonian, Greeks and Romans. Among the pottery fragments unearthed were ostraca bearing Hebrew inscriptions in carbon ink citing Biblical names and memoranda of commercial shipments. Approximately 27 CE, the city was rebuilt by Herod the Great who named it Sebaste after the emperor Augustus. Herod surrounded the city with a large wall and included within it a smaller walled component that featured a temple. During the reign of the last king of the northern kingdom, Hoshea (2 Kings 10), the Assyrians invaded in 722/721 BC. (initially under Shalmaneser V and finally under Sargon II) when they established complete control over the capital city and the remainder of the northern kingdom. The fragment of a stela with an Assyrian inscription attributed to Sargon II was found on the eastern slope of the acropolis testifying to their presence. In addition, according to inscriptions from Sargon's palace at Khorsabad, the inhabitants of Samaria were deported to Assyria. The remains of a wall relief in Room 5 of Sargon's palace is thought to depict Samaria and its defeated defenders. New inhabitants were brought in (from Kutha and the Syro-Mesopotamian area, 2 Kings 17:24) and they formed a new Samaritan population, also known as Cuthim. The city together with the neighboring highland area became known as Samerina and was ruled by an Assyrian governor. There are only meager remains from the succeeding Babylonian period and it was only in the Persian period, in the mid 5th century, that the city reemerged in importance. The tensions between the ruling family of Sanballat and Jerusalem under the governorship of Nehemiah are documented in the Bible (Ezra 4:10, Neh 4:7-8). Samaria became a Hellenistic town in 332 BC and thousands of Macedonian soldiers were settled there following a revolt by the Samaritans. Three 13 m diameter round towers dating to that period have been excavated (the first two by Harvard who attributed them to the Israelite period) and a later, massive, fortification wall with square towers. These fortifications were breached during the destruction of the city by John Hyrcanus in 108. Traces of the destruction wrought by Hyrcanus were found by the excavators, but the city was apparently resettled under Alexander Yannai. In 63 BC Samaria was annexed to the Roman province of Syria. In 30 BC the emperor Augustus awarded the city to Herod the Great who renamed it Sebaste in honor of Augustus ("Sebaste" is the feminine form of Gr. Sebastos or Augustus). The outstanding remains from this period are; the Augusteum, consisting of a temple and a large forecourt built over the Omride palace at the summit of the acropolis; a city gate and an east-west colonnaded street; a theater on the north-east slope of the acropolis; a Temple to Kore on a terrace north of the acropolis, and a stadium to the north-east in the valley below. East of the acropolis, and in an area that today links the ancient city with the modern village of Sebastia, lies the forum flanked on the west by a partially excavated basilica. Water for Roman Sebaste was provided by an underground aqueduct that led into the area of the forum from springs in the east. The city was encompassed by a city wall 2 1/2 mi. (4 km) long, with imposing towers that linked the gateways in the west and north. A number of mausoleums with ornate sarcophagi were excavated in the area of the modern village and adjoining fields. The modern history of Samaria begins when the territory of Samaria, formerly part of the Ottoman Empire, was entrusted to the United Kingdom to administer in the aftermath of World War I as a British Mandate of Palestine, by the League of Nations. As a result of the 1948 Palestine War, most of the territory was unilaterally incorporated as Jordanian-controlled territory in the West Bank and residents would later receive Jordanian passports. The Jordanian-held majority of Samaria came under the control of Israel during the 1967 Six-Day War. Jordan ceded its West Bank claims to the PLO in November 1988, later confirmed by the Israel�Jordan Treaty of Peace of 1994. Jordan recognizes the Palestinian Authority as sovereign in the territory. In the 1994 Oslo accords, responsibility for the administration over some of the territory of Samaria (Areas 'A' and 'B') was transferred to the Palestinian Authority. Samaria is one of several standard statistical districts utilized by the Israel Central Bureau of Statistics. "The Israeli CBS also collects statistics on the rest of the West Bank and the Gaza District. It has produced various basic statistical series on the territories, dealing with population, employment, wages, external trade, national accounts, and various other topics." The Palestinian Authority however use Nablus, Jenin, Tulkarm, Qalqilya, Salfit, Ramallah and Tubas Governorates as administrative centres for the same region. The Shomron Regional Council administers the Israeli population and settlements throughout the Samaria area. The city was rebuilt without any major changes in the 2nd century AD. by Septimius Severus when the city was established as a colony. Samaria has been associated with John the Baptist, whose body was believed to be buried there. A small basilica church, first founded in the 5th century, was excavated on the southern slope of the acropolis. The church was believed to be the burial place of the head of John the Baptist. A monastery was added to it at a later date. In the 12th century AD. a Latin cathedral also dedicated to John the Baptist was built east of the Roman forum and combined elements of the Roman period city wall. It later became the Sebaste village mosque. In 1867 visitors found the village to have a population of 400, 'almost all Moslems'. In late 1976, the Israeli settlers movement, Gush Emunim, attempted to establish a settlement at the Ottoman train station . 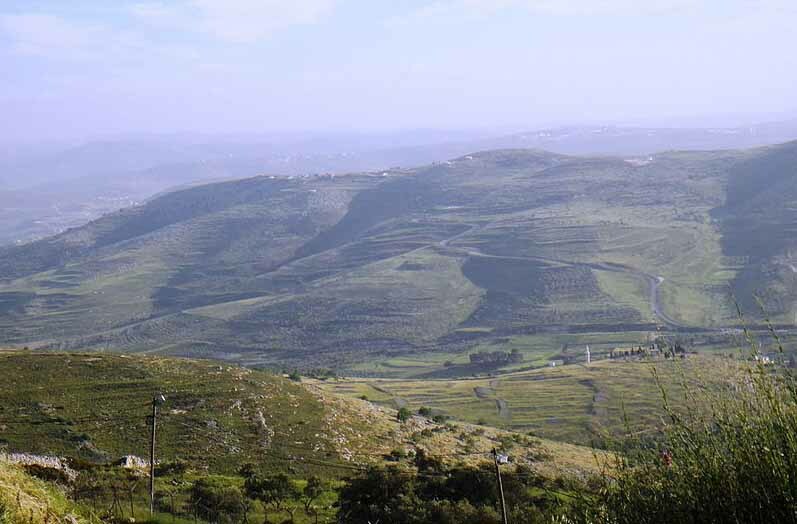 The Israeli government did not approve and the group that was removed from the site would later found the settlement of Elon Moreh adjacent to Nablus/Shechem. The New Testament mentions Samaria in Luke chapter 17:11-20, in the miraculous healing of the ten lepers, which took place on the border of Samaria and Galilee. John 4:1-26 records Jesus' encounter at Jacob's well with the woman of Sychar, in which he declares himself to be the Messiah. In Acts 8:5-14, it is recorded that Philip went down to the city of Samaria and preached there. 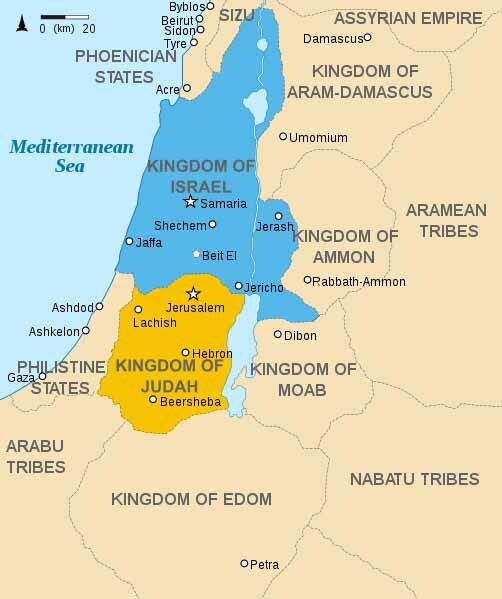 In the time of Jesus, Iudaea of the Romans was divided into three toparchies, Judea, Samaria, and Galilee. Samaria occupied the centre of Iudaea (John 4:4). 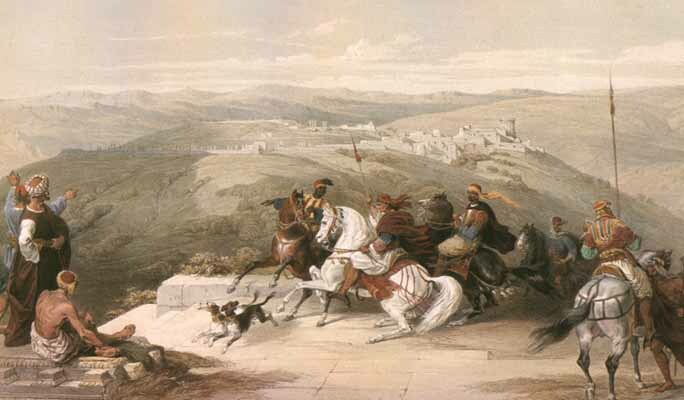 (Iudaea was later renamed Syria Palaestina in 135, following the Bar Kokhba revolt.) In the Talmud, Samaria is called the "land of the Cuthim". Only the acropolis of Samaria has been extensively excavated down to the bedrock. The palace was excavated solely by the Harvard Expedition and recognized by them as the Palace of Omri (designated Building Period I). The Omride palace was located on an elevated 4 meter high rock-cut platform that isolated it from its immediate surroundings. While immediately below the palace, cut into the face of the bedrock platform, there are two rock-cut tomb chambers that have only recently been recognized and attributed to Omri and Ahab. West of the palace there are meager remains of other Building Period I buildings but much of the rock surface has been severely damaged by later buildings. The Omride palace continued in use during the next building phase (designated Building Period II), but it was no longer isolated on an elevated platform. The acropolis area was extended in all direction by the addition of a massive perimeter wall built in the casemate style; the new enlarged rectangular acropolis measured c. 290 ft. (90 m.) from north to south and at least c. 585 ft. (180 m.) from west to east (that is a capacity of approximately 7,500 persons by current fire standards), and the surface was now raised to a uniform elevation by the addition of a massive fill. This phase (Building Period II) was traditionally attributed to Ahab due to the misallocation of Wall 161 that run parallel to the northern casemates and the identification of a large rock-cut pool near the northern casemate wall as the Bibilical 'Pool of Samaria;' the wall (Wall 161) is now recognized to belong to Building Period II and the �pool� is a rock-cut grape-treading area that originated in Building Period 0 and continued in a reduced form in Building Period I. Consequently the onset of Building Period II can only be relatively fixed. There is neither a biblical anchor nor securely dated pottery to establish the chronological affiliation of Building Period II. The Omride Palace was still in use and the royal tombs were still accessible (now via subterranean rooms) and there was an administrative building the Ostraca House (due to the 63 ostraca retrieved from the floor's make-up) built west of the palace on the newly extended acropolis. The ostraca provide a wealth of data concerning oil and wine supplies, and can possibly be attributed to the period of Jeroboam II c. 785-749, thus providing a probable date for Building Period II. North of the palace a rich cache of Phoenician ivories were retrieved, these were mixed with later debris but it was presumed by the excavators that it was in this area that the 'Ivory House' that Ahab built for Jezebel 1 Kings 22:39 stood. North-east and below the acropolis a number of Iron Age tombs were found and their location probably delimits the area of the city in that direction. In essence only the acropolis was excavated down to the Iron Age but it is presumed by the excavators that the city extended down over the northern and southern slopes of the hill. Today the site is not administered by any organization and anyone can access it. The site is connected to Nablus by a paved road that is frequently cut by Israeli military checkpoints. The souvenir shops and restaurants are still active at the site. The narrowest point of the gorge. At one point, the gorge is only three meters wide. 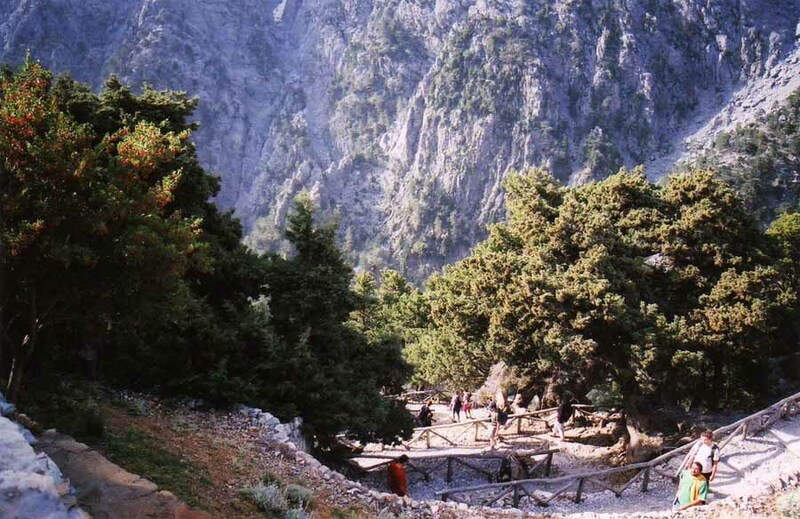 The Samaria Gorge is a National Park of Greece on the island of Crete - a major tourist attraction of the island - and a World's Biosphere Reserve. The gorge is in southwest Crete in the regional unit of Chania. It was created by a small river running between the White Mountains and Mt. Volakias. There are a number of other gorges in the White Mountains. While some say that the gorge is 18 km long, this distance refers to the distance between the settlement of Omalos on the northern side of the plateau and the village of Agia Roumeli. In fact, the gorge is 16 km long, starting at an altitude of 1,250 m at the northern entrance, and ending at the shores of the Libyan Sea in Agia Roumeli. The walk through Samaria National Park is 13 km long, but you have to walk another three km to Agia Roumeli from the park exit, making the hike 16 km. The most famous part of the gorge is the stretch known as the Iron Gates, where the sides of the gorge close in to a width of only four meters and soar up to a height of 1,100m (3,610feet). The gorge became a national park in 1962, particularly as a refuge for the rare kri-kri (Cretan goat), which is largely restricted to the park and an island just off the shore of Agia Marina. There are several other endemic species in the gorge and surrounding area, as well as many other species of flowers and birds. The village of Samaria lies just inside the gorge. It was finally abandoned by the last remaining inhabitants in 1962 to make way for the park. The village and the gorge take their names from the village's ancient church, Ossia Maria "the Bones of Mary".